The only overnight summer camp that provides an Israeli experience for our children in Hebrew! Friends of Israel Scouts, Tzofim has partnered with the Israeli-American Council and NJY Camps to proudly present Machane B’Yachad: 12 days of overnight summer camp with a rich and unique fun-filled program in Hebrew. The camp is open to all Hebrew speaking children. The program includes more than 70 diverse elective activities. 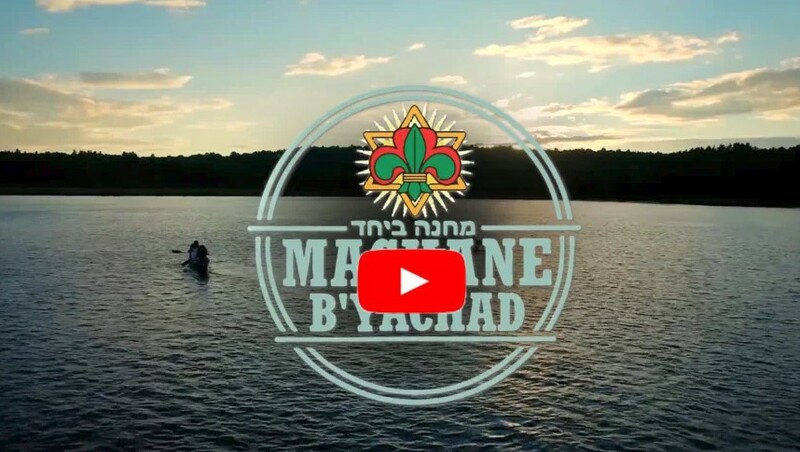 On top of that, Machane B’Yachad will have a unique Tzofim led, activities for each cabin and for the entire camp – activities that will bond the campers, deepen their knowledge of Israeli culture, and most importantly, are FUN! The diverse program, combined with Hebrew counselors and Hebrew-speaking friends will broaden campers’ knowledge and use of Hebrew! Machane B’Yachad will operate August 4 through August 15, 2019 and is designed for children entering 4th grade through 9th grade. The camp is open to every child with a basic knowledge of Hebrew living in North America. Children entering grades 4 to 6 will be at Camp Nah Jee Wah and children entering grades 7 to 9 will be at the nearby Cedar Lake Camp. Both a part of NJY Camp’s 1,250 acre campground that hosts 1,250 children every day. With 98 years of experience in operating overnight summer camps, the camp’s facilities will be operated by the NJY Camps organization. The facilities have two lakes, water slides, state-of-the-art sport fields and equipment, art rooms, pottery, STEM and much more, all in the highest standard. The high-quality wooden cabins include showers and restrooms. Campers will enjoy healthy and nutritious kosher food with three meals a day and plenty of snacks. 24-hour fully staffed infirmaries are ready for any occasion. If needed, there is an emergency center nearby at Milford, PA and a large hospital 14 miles away. Tzofim, the largest Israeli youth movement has specialized over the past 30 years in activities for Israelis around the world. Today Tzofim educates thousands of children and youth in 21 Shvatim (tribes) in North America. Machane B’Yachad is a unique program that brings together the special education techniques and know-how of Tzofim with a top Jewish-American summer camp. The staff will be made of Tzofim employees and graduates from Israel and the United States. Machane B’Yachad space is limited! Make sure to register your child early and enjoy the early bird special discount price of only $1,250 until January 31. Standard fee is $1,500.